Now that you’re more familiar with our company and our services, let us tell you about our great business success stories and give you more detailed insight into how we operate. We are a company that will undoubtedly make your business grow in all aspects. We go beyond giving you that powerful online presence – we have helped expand their business to the point where they are opening second and third locations. The Orthodontic Center of Orange County had one office when they first contacted us. Now, they are in the process of opening their third location. This success story started off by improving their digital reputation. We provided them with consulting about the Invisalign products and braces, and then went on to use the keywords associated with these services to increase their online ranking. We also recommended that they adjust the name of their business upon opening their second location. When the second location opened, we arranged for their patients to have the ability to receive treatment at either one, or both, of their locations. We then built them a mobile and SEO friendly website. We made sure that the site loaded quickly and efficiently to keep viewers from clicking elsewhere. We helped them manage their Yelp account by reaching out to any users who had submitted a negative review and offering them a gift card and discounts and encouraging them to come back to the business again. Bad reviews were then removed from the Yelp account. Our next step was to launch a new campaign with Google AdWords. We created new content for the website and started generating more online leads through the use of keywords.  We have since created a total of ten Google AdWords campaigns for the company. Throughout our time developing these campaigns, we noticed one particular key term that provided us with the highest ROI, or return on investment – so, we continued to roll with that key term, incorporating it everywhere we possibly could. This generated an extremely high-traffic campaign that resulted in a massive influx of patients in the following months. The lucrative results of this undertaking are real proof to the claim that marketing can either make or break a business – and in this case, we made it big. At the same time, we created print advertisements in local and school newspapers. However, this proved to be a less successful venture. We associated a different phone number with each of our campaigns, and found that these print ads were not generating a high ROI. So, upon conducting this data analysis, we decided to pull out of the newspaper ad space for this company. Although the newspaper ads in particular did not turn out to be too prosperous, we still set our sights on other print ad projects. We designed and formatted all of their flyers, mailers, and brochures, and even created medical and dental forms for office use. We also offered the company an emailing service. Our email campaigns reached all patients of the practice via the personal email accounts they provided to the practice. The emails contained promos, discounts, and special announcements. They had clean content, aesthetic formatting, and catchy titles and subjects. We knew these aspects were key to getting people to open and reopen the emails. This project also proved to be very successful, and we were even able to discover the best day and time to send out these emails every week. This is the website of the first office. This is the website of the second office. A patient-referral system was created for the company, as well. Marketing representatives were sent to local general dentistry practices to hand out brochures and encourage the practicing dentists to refer their patients to the Orthodontic Center of OC. Brochures were delivered to the receptionists at the front desk before they reached the hands of the dentists. This experiment also proved to be very favorable. The center received many referrals from the local dentists we had visited. We even decided to take this experiment to the next level by testing out different representatives. They were all sent to the exact same offices and handed out the exact same materials. However, some generated more referrals than others – the ones with the highest referral rates were sent back out to continue to recruit other local dentists. 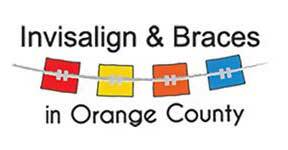 As previously mentioned, The Orthodontic Center of Orange County currently has two up-and-running locations, with a third location currently in the works. The second location was not even open a full year before they were ready to expand to a third. This type of fast-paced growth proves how large of an impact, not to mention how positive of an impact, quality marketing can have on a dental practice. We continue to help the company expand and improve every day. Relying exclusively on word-of-mouth to grow your business can leave you short of your growth targets. We count with 10 years of experience in digital marketing, and we know the most efficient and effective way to obtain new leads online. © 2019 SEO Company OC. All Rights Reserved, SEO Company OC Inc.